Dalaman Self Catering Holiday, in luxurious, bungalows in Secret Valley, with private swimming pool. Dalaman Self Catering Holiday, in luxurious, bungalows in Secret Valley, with private swimming pool. Lakeside Bungalows consist of 5 bedrooms, 2 bathrooms, a round-shaped living room and an ample kitchen. These properties are for those who like their privacy. Built in the middle of a pine forest and olive groves, surrounded with magnificent mountain views. Total living area is nearly 161 m2, built on a 1000 m2 of land, with landscaped garden. Very quiet and tranquil atmosphere. Only 15 minutes walk away from the restaurant, shop and lake side. Only 20 minutes of drive away from the International Dalaman Airport. 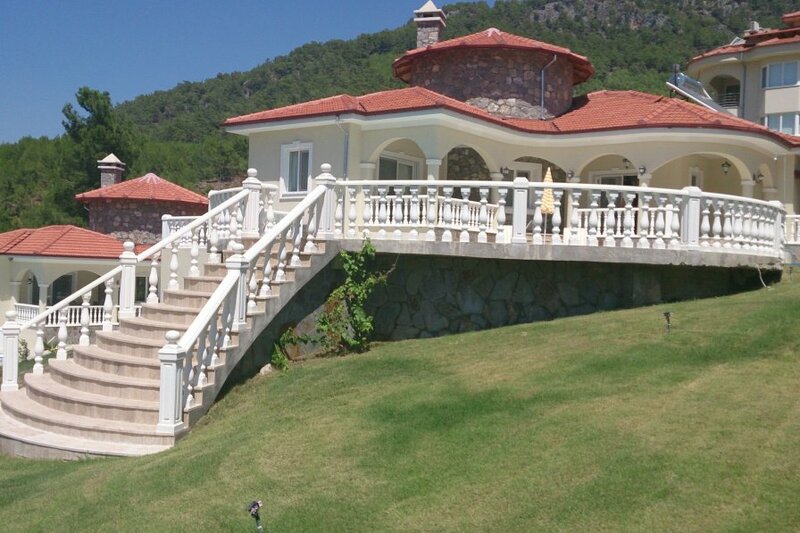 Luxury private villa (bungalow style),with private swimming pool, located in the Secret Valley in Akkaya, Dalaman. Built in the heart of the nature, surrounded by pine, orange and olive trees, with breath taking views of the forest and Akkaya Lake. All the furniture in the bungalow are top range or custom-made. The accessories are tasteful and first class. All the white goods and five air-conditioning units are best quality brands to provide the comforts of a modern life. Private driveway and car park. Using of water and electrics is limited. Electric is (100 KW) and water is 25 m3.